Welcome to another Creative Inkers Team Blog Hop! I hope you all enjoyed our Sale-a-bration hop last week. Didn't the team make some gorgeous projects? This week it's the turn of the Occasions Catalogue. If this is your first stop, make sure you click on either the 'Next' or 'Previous' buttons below to hop around and check out everyone's blogs. There'll be lots of fantastic projects to see and inspire you. If you get lost along the way, see the list at the bottom of this post to get you back on track again. Now to my projects for this hop. I've made two this time. The first one uses the always useful designer series paper stack and this particular stack called Stacked with Love is one of the best I think I've seen. 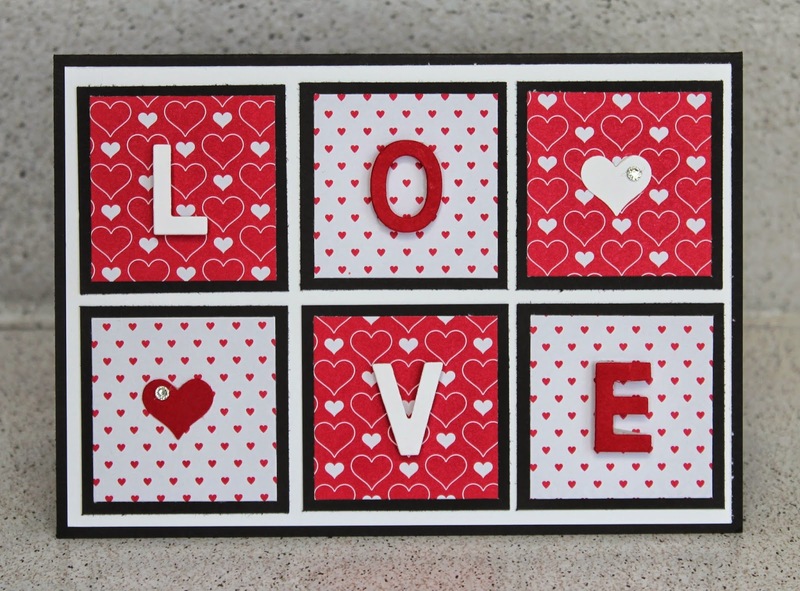 One side has reds and peachy colours perfect for your Valentine's, Anniversaries and Thinking of You projects and the other side is all Blacks & Whites - brilliant! I chose two designs from the stack and mounted squares of them for this card. Then I used the Little Letters Thinlet dies and cut out the word 'Love' to go on top. 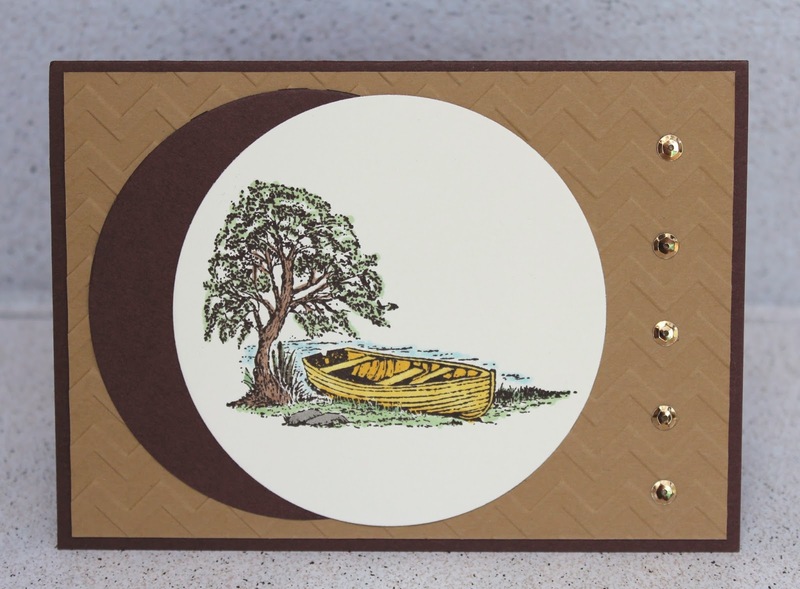 For my second project I've created a masculine card using the Moon Lake stamp set. I coloured in the picture using my blendabilities and layered it with circles on a chevron background. Then I used sequins to give it just a little bling without making it too girly. Don't forget, between now and the 31st March, for every $110NZD you spend, you can choose a free product from the Sale-a-bration catalogue (the link to this is on my sidebar to the right). I hope you've enjoyed these two cards. We enjoy reading your comments and receiving your feedback so please do leave them for us (we understand the comment buttons are sometimes a little hard to find - see my post here to help you if you get stuck finding the buttons). Now you're off to Bernie's blog to see what she's created for you. Unless you're hoping backwards then you'll go to see Alicia. I particularly like the Love card Kathryn. The nice clean design is just up my alley, and it takes a good eye to line them up as straight as you did. I notice that sort of thing! Really must start using that paper stack myself! Great cards Kathryn. I also like the DSP that you used in the first card. Awesome job Kathryn. I agree with Rachael, that you have done so well in lining up your squares so neatly on the first project. I also like your second project. It is always good to get great ideas for Masculine cards. Thanks. Lovely cards, especially the Valentine one. The DSP paper just makes that card. WOWsiers Kathryn, love both your cards, and you have used great composition too! Your cards are gorgeous Kathryn! I love the Stacked with Love card - you have inspired me to make a Project Life card like it to put in with my brother's wedding pictures. Thanks so much! How do I comment on your blog hop?